Claire Randall, the managing director of Lucknam Park, is leaving he five-star hotel after nearly 20 years. 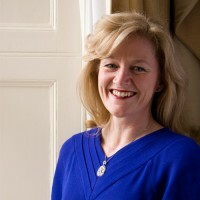 Claire, pictured, joined the luxury hotel at Colerne in 1999 as general manager, becoming managing director 11 years later to work alongside chairman Harry Murray. During her two decades at the hotel she has overseen major changes including a £20m investment and spa launch 10 years ago. According to the Boutique Hotelier website, Claire – who was previously an inspector for the Michelin Guide in GB and Ireland – will leave in February to pursue another opportunity. The 42-bedroom hotel recently announced plans to open a four-bedroom cottage on its 500-acre estate, to operate alongside Keeper’s Cottage which opened last year. Guests to the cottage will have full access to Lucknam Park’s facilities, including the spa, equestrian centre, cookery school and Michelin-star restaurant headed up by Hywel Jones. The hotel will also host a series of new events in 2019, including ‘Make the Perfect Burger’ hosted in partnership with London restaurant Bar Boulud at Mandarin Oriental Hyde Park, and ‘Trencherman’s Guide Chefs’ dinner, hosted by Hywel Jones and guest chefs Michael Caines and Guy Owen. Privately-owned Lucknam Park is a member of Relais & Châteaux, the exclusive collection of 500-plus of the finest hotels and gourmet hotels across the world. Earlier this year it won two Golds – for Hotel of the Year and for Spa and Wellbeing Experience of the Year – and a Silver for Restaurant of the Year – at the South West Tourism Excellence Awards.